When someone says 'slugs,' do you imagine the garden variety? Do you imagine brown little lumps munching on your greens? Do you imagine slimy stuff that drags themselves across the earth, leaving behind an equally slimy path? Probably, right? But did you know that there was a slug that was so beautiful it uses its beauty to kill its prey? 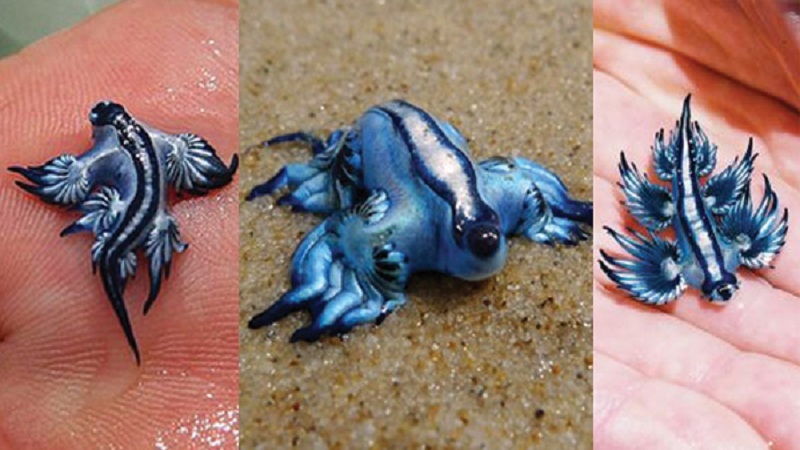 The blue dragon sea slug, scientifically known as the Glaucus atlanticus, is every bit as majestic and regal as its name. It possesses a unique appearance that seems to be a cross between a blue flower and a highly flexible predator of the sea. But more importantly, it boasts of lethal abilities so much deadlier than the average predator. This marvelous sea slug is carnivorous in nature and feeds on other open-sea creatures by using its incredibly potent sting to render its prey incapable of moving. 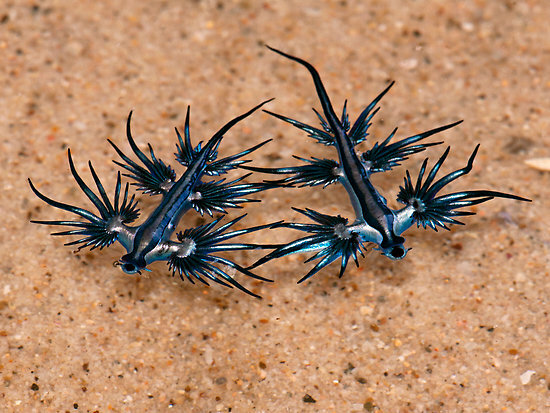 The blue dragon favors eating incredibly venomous animals, like the Portuguese man o' war. 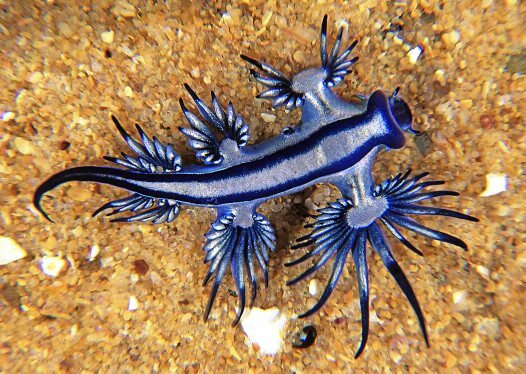 This is a feature possible to the blue dragon due to its immunity against the man o' war's sting, one that is normally agonizingly painful for a human and to most animals. After consuming its venomous prey, this formidable sea slug incorporates the most venomous cells for its own use, absorbing the cells into its own body and utilizing it as a very effective defense mechanism. The victim's venomous quality, further enhanced by the s blue dragon's own, is fused into a more concentrated form of venom, making it far deadlier than it originally was. If you ever see this blue beauty floating in the sea, stay away. The blue dragon is as deadly as it is enchanting.